Blocked Drains Aren’t Just A Smelly Nuisance. They’re Also A Health Risk. Blocked drains smell foul and if left untreated, are a health risk and can cause major structural damage, so imagine living next to open sewage for 15 years! Blocked drains can create serious problems, not only to your property, but also to your health. Whether you have a blocked internal drain within your property or a blockage in external lateral drains that run to the public sewer, it’s recommended that you seek professional help as soon as possible to stop the problem from escalating. Internal drains are your responsibility, however, it’s the responsibility of your local water company to maintain and repair external drains that link to public sewers. This is the problem that residents of East Bank, East London, a settlement in South Africa, have been suffering since 2001. Numerous reports and complaints to the local municipal offices have resulted in nothing. With a lack of playgrounds in the surrounding area, children end up playing next to open sewer conditions. 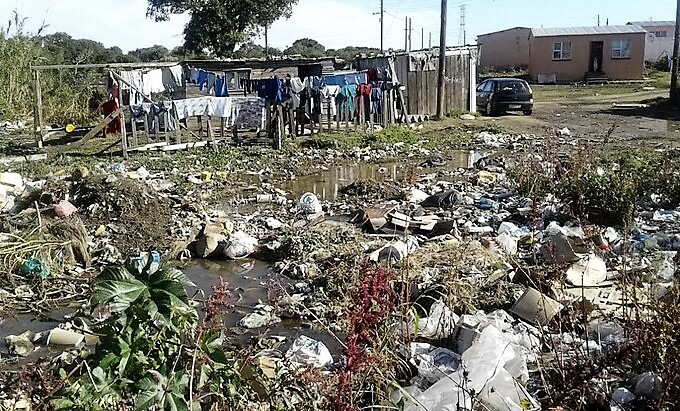 What’s more, the filth caused by dirty, stagnant water and sewage slush is made worse by some residents dumping their rubbish there. This example may seem a million miles away from the streets of our own capital city, yet London has suffered its fair share of drain and sewer problems over the years. It was only a few years ago that a sewerage leak in Waltham Abbey killed fish in a local brook – the cause was a blocked pipe. Here’s a look at the causes of blocked drains and the health risks involved in exposure to raw sewage. Water stagnation – stagnant water in blocked pipes is a breeding ground for harmful bacteria and the main cause of waterborne health problems. Smells – foul smells compromise your quality of life, pollute the atmosphere and over long periods, can result in headaches, irritability, stress, anxiety and poor sleep. E-Coli – symptoms include diarrhoea, stomach cramps, fever and possible liver damage. Encephalitis – a viral inflammatory disease transmitted by mosquito eggs. Symptoms include mild fever and in severe cases, convulsions and paralysis. Weil’s Disease – transmitted via rat’s urine. Rats love water and food debris, so a blocked drain is particularly attractive to them. This bacterial infection is manifested by flu-like symptoms and in severe cases, organ failure and internal bleeding. Never flush items such as wipes, sanitary towels or condoms down the toilet. Never pour hot oil and food debris down the sink. Let oil cool then dispose of it in the bin. In 2013, a ‘fatberg’ the size of a bus was removed by Thames Water. A massive, congealed lump of fat and grease was discovered in the sewerage in Kingston Upon Thames after residents complained that their toilets wouldn’t flush. Luckily the problem was resolved before homes, streets and businesses in the area were flooded with raw sewerage. Regularly inspect and clean outside drains and roof guttering. Fit drain nets and guards to prevent debris build-up. For more information on our expert drain cleaning services, contact London Drainage today.